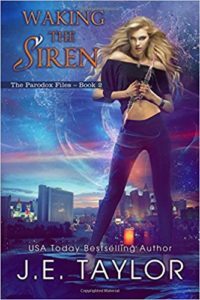 Will Kylee get her siren back in time to save her greatest love and slay the bicorn? Find out in Waking the Siren by J.E. Taylor, USA Today bestselling author! Great timing, today, as the audio version of Volume 2 of The Paradox Files is now author-approved!